Roses are stars, of course, and their gardening fans are legion, but roses can also be the cast of an entire garden. Indeed, that is the case in these 24 rose gardens (or gardens with roses, really) that Mary Tonetti Dorra has carefully selected from across the U.S. from suburban as well as urban locations, to show off the best in rose-garden design. Each is different in plan and in climate, in roses featured, and in garden architecture and companion plantings. The master gardeners share their expertise on cultivating brilliant roses and their inspired ideas for using them to enhance the year-round beauty of the garden. 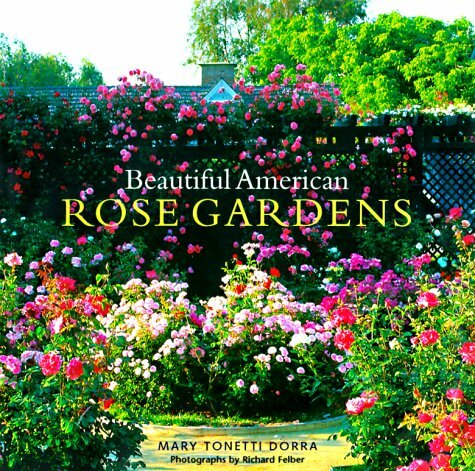 With garden plans and resources, boxes and sidebars offering information and growing tips on various strains, and glorious color photographs of roses used to exquisite effect in some of the country’s most vibrant gardens, Beautiful American Rose Gardens is a joy for anyone who loves roses.